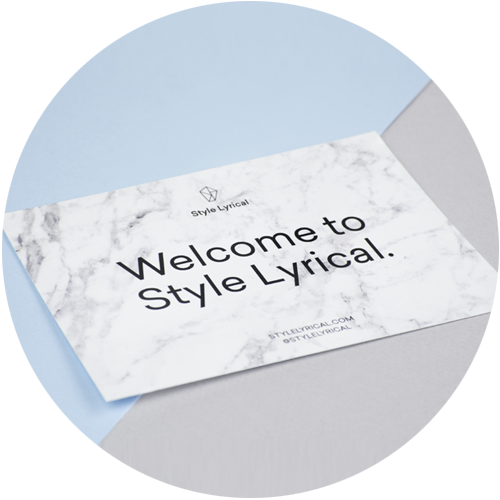 Style Lyrical was born out of a desire to help busy women, who feel overwhelmed in the morning whilst wondering what to wear. 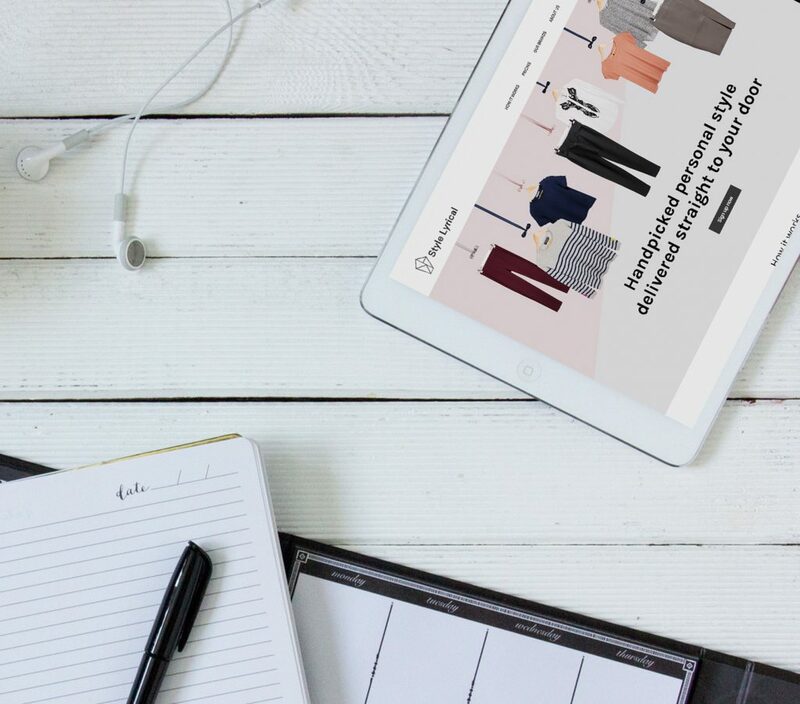 As a former management consultant in London, I struggled to find the time to shop for beautiful clothes at the weekend or online in my lunch breaks. Instead I would grab a few pieces, on a Monday morning, from the same store at Terminal 5 before flying out to clients. I enjoyed my consulting career but I wanted to take what I learnt and build my own team and launch a product. 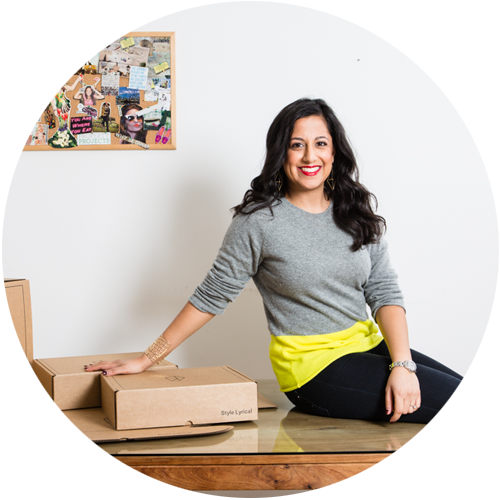 I noticed a new trend emerging in Fashion Tech for personalised clothing delivery services across the US and Europe but no one had started it for women in the UK. I did a proof of concept test and hired a stylist to complete a simple version of the service for a pool of customers. It was a success and that led me to quit my job. My personal network in London was very corporate-filled which is perfect from a customer perspective, but not great for the entrepreneurial mind-set. I left London and worked full time on my business from a bamboo office in Bali for 3 months. There I developed my business plan, acquired an investor, launched my website, attracted my first supplier and developed my packaging and branding. My productivity soared and I believe this was down to the fact that every day I was surrounded by driven and supportive entrepreneurs on a small island. As a tribute to Bali, our outfits are delivered in Style boxes that were handmade on the island. We are launching our best-sellers on our website at the end of February to allow our customers to purchase individual pieces before trying out a Style Box. We will also be running a very exciting event at Grace Belgravia on 7th March where I will give a talk on “How to create a Fashion Tech Start Up From Scratch. My stylists will also give on hand to give personal style consultations. We are the first service for women in the UK marrying personal styling with clothing delivery. 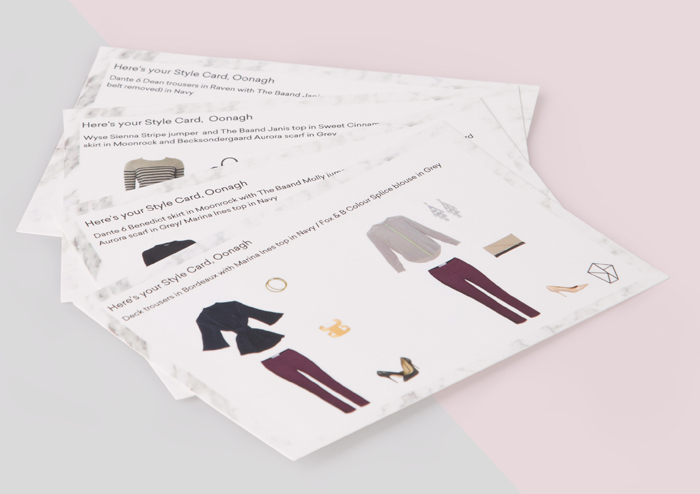 Our professional stylists handpick three outfits that reflect a customer’s personal style and taste from carefully selected boutique brands and deliver them straight to her door. The whole process is simple and easy and designed with busy women in mind. Customers fill in a Style profile and upload photos of their existing outfits along with their measurements. Each customer receives a personal consultation with a stylist on the phone for the price of £19.99. They then receive an 8-item capsule wardrobe of brands put together by a professional stylist. All pieces are delivered in a beautifully packaged Style Box along with personalised style cards showing how to put each outfit together. The service allows customers to take 7 days to try on the clothes, decide what they love, then return what they don’t, with free shipping. The best thing is the intellectual problem-solving. You are constantly forced to think, test ideas and work out solutions. I also love building and inspiring my team. I am always happy to offer advice or connect people to personal contacts where there may be an opportunity for them. My last role was in the Strategy team at Sky where I worked on the launch of new products and digital transformation so I have experience in a range of sectors such as Teleco and Sport. 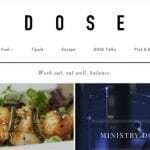 I am open to collaborations with other start ups if there is a good fit with our brand. We are pre Series A funding so I would love to connect with other start ups who have acquired Series A funding and would be willing to share their experience.